Mango Languages is an online language learning resource freely available to all Furman students, faculty, and staff. Find it in the All Databases list. The goal of learning a new language is a noble one, but choosing the right language to learn is also important! It helps boost your internal motivation (you know, that thing that keeps you up studying verb conjugations before bed when you’d much rather be asleep, or checking Instagram just one last time). But with almost 7,000 languages out there, the choice can be a little paralyzing. 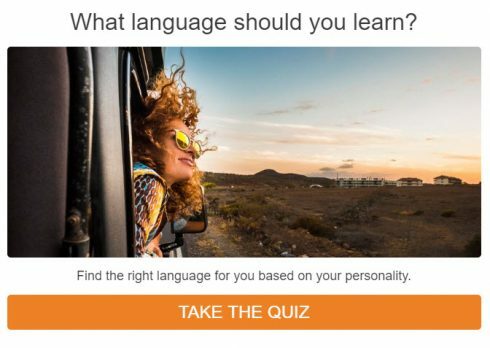 No need to worry – Mango’s got your back with a fast, fun, and (maybe) accurate language personality quiz to point you in the right direction. These deadlines apply only to those items needed before the end of Spring term. Requests submitted after these deadlines will be addressed on a case by case basis. The book deadline applies only to books ordered through Interlibrary Loan. Books may be ordered via PASCAL Delivers until the end of the term. If you are in a pinch, PASCAL Delivers, PASCAL Visiting Patron or PASCAL PickUp Anywhere could be helpful. Please see our PASCAL page for more information. 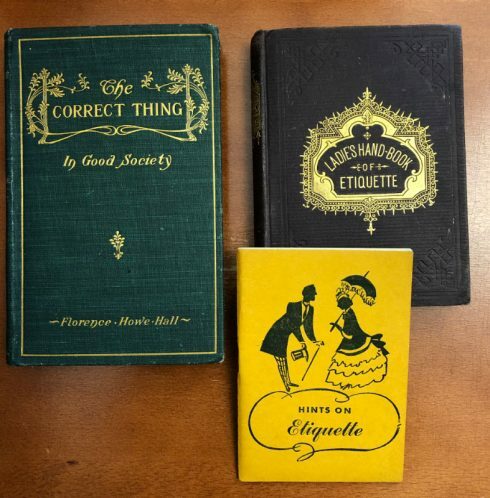 A group of courtesy books and etiquette manuals to add to our growing collection in Special Collections and Archives. Our Special Collections Librarian and University Archivist, Dr. Jeff Makala, will host a show and tell highlighting recent acquisitions. Dr. Makala will also answer questions about how and why he acquires materials for Special Collections. Should Easter Break be longer? Students were asked this question for the April 12, 1985 issue of the Paladin. Need a quiet spot for an interview? The James B. Duke Library now has an audio recording studio co-sponsored by Furman Libraries and Information Technology Services. The Audio Recording Studio is a sound-insulated room located on the lower level of the library near the IT Service Center. The room is equipped with a microphone and a laptop computer with Camtasia and Audacity installed. Students, faculty, and staff may reserve the studio for up to 4 hours per week with reservations made no more than two weeks in advance. Make a Reservation​ – Please keep the email confirmation of your reservation. Textbooks are expensive for our students, and we want to help. This spring, we purchased select textbooks and put them on reserve in the Libraries for student use. According to current studies, the average student at a private university spends more than $1,200 per year for textbooks. From what we’ve heard from students, Furman is in alignment with this figure. As a consequence we’ve seen increased requests to purchase textbooks for the Libraries’ collections. In the past, textbooks have not been part of our acquisition plan, but as textbook prices continue to skyrocket, we decided to adopt a more nuanced approach to textbook acquisition. We already support many affordable learning options for our students. Interlibrary Loan, PASCAL Delivers, multi-user eBooks, and support for the adoption of open educational resources provide alternatives to the traditional textbook model. We are taking this a step further with our new textbook acquisition pilot program. This spring we are collaborating with faculty and placing textbooks on reserve for multiple sections of more than half a dozen classes. At the end of the semester we will assess the success of the program. So far use has been strong in some classes and we hope to promote the program more in the fall of 2019. For more information, stop by the Circulation Desk in the James B. Duke Library. 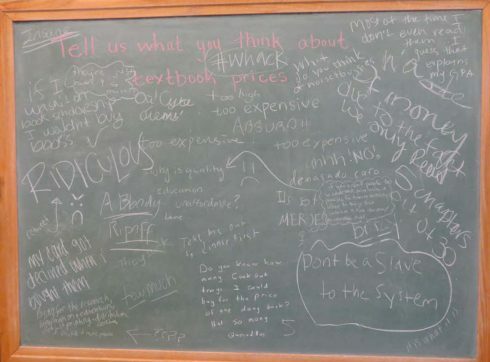 Tell us what you think about textbook prices! 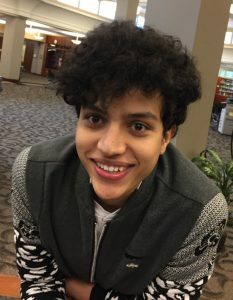 Congratulations to Dipendra Parajuli (’19)! He is the lucky winner of the Scholar of the Month contest. As Scholar of the Month, Dipendra wins a private study room in the library for the month of April through the last day of exams (May 8). 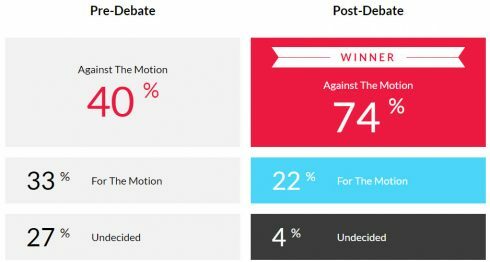 A nonpartisan, nonprofit organization, Intelligence Squared U.S. is a debate series working to restore civility, reasoned analysis, and constructive public discourse to today’s media landscape. 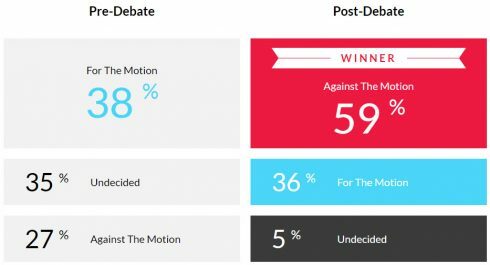 Founded in 2006, Intelligence Squared U.S. addresses a fundamental problem in America: the extreme polarization of our nation and our politics. The series is based on the traditional Oxford-style debate format, which involves a debate on a predetermined statement – also called a “motion” – from two opposing perspectives. The two sides either argue “for” or “against” the motion within a formalized structure. 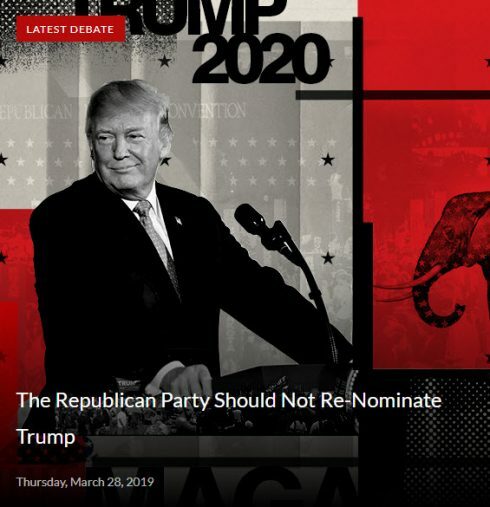 The Republican Party Should Not Re-Nominate Trump (March 28, 2019) Americans are gearing up for the 2020 presidential elections, and Republicans have a choice: Should Donald Trump be their nominee? 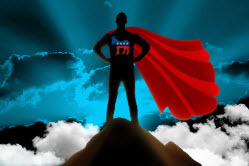 His detractors see a politically vulnerable candidate caught up in the uncertainty of the Mueller investigation, wounded by the longest government shutdown in history, and defeated by House Democrats who refused his demand for border wall funding. But many are standing behind the president. They argue his passionate and loyal base will deliver yet another political win, particularly if his campaign finally has the full support and guidance of the Republican Party. Can Trump deliver key swing states and another victory for the GOP? Or is he the wrong choice for the American right? 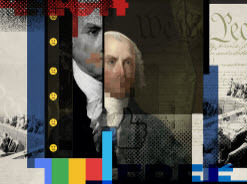 Constitutional Free Speech Principles Can Save Social Media Companies from Themselves (March 4, 2019) How should the world’s largest social media companies respond to a pernicious online climate, including hate speech and false content posted by users? For some, the answer is clear: take the fake and offensive content down. But for others, censorship – even by a private company – is dangerous in a time when digital platforms have become the new public square and many Americans cite Facebook and Twitter as their primary news sources. Rather than embracing European hate speech laws or developing platform-specific community standards that are sometimes seen as partisan, they argue, social media companies should voluntarily adopt the First Amendment and block content only if it violates American law. Should First Amendment doctrine govern free speech online? 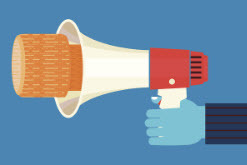 Or are new, more internationally focused speech policies better equipped to handle the modern challenges of regulating content and speech in the digital era? Progressive Populism Will Save the Democratic Party (October 11, 2018) As Democratic leaders and strategists gear up for the 2018 and 2020 elections, the party stands at a crossroads. 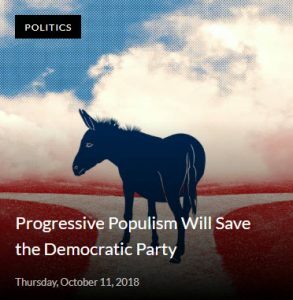 For progressive populists, the path forward is clear: Democrats must get back in touch with the party’s working-class roots by championing a specific set of policies, including Medicare for all, free public college tuition, a guaranteed federal jobs program, and housing as a human right. They say this strategy is key to winning back disillusioned working-class voters and to regaining power in Washington and beyond. But others view this as a dangerous path. They argue that a handful of high-profile progressive wins have been overhyped by the media and, rather than make promises that may be impossible to execute in this political climate, Democrats should champion centrist, economically viable policies that will win elections and solidify the base. 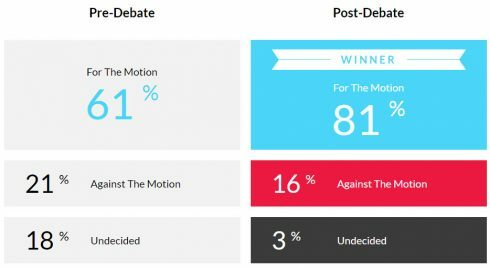 How can the Democratic Party, out of power and outnumbered in Washington D.C. and state capitals across the nation, bring itself out of the political wilderness? 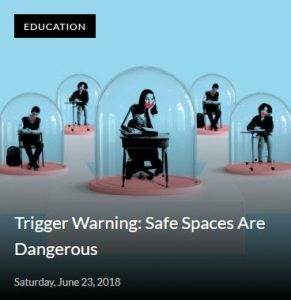 Trigger Warning: Safe Spaces Are Dangerous (June 23, 2018) Long hailed as bastions of intellectual development and ground zero for the free and spirited exchange of ideas, today’s universities have come under attack by those who argue that a new generation of students and administrators are trading in academia’s most cherished values for political correctness and inclusion. At the heart of this debate is the question of safe spaces, how we define them, and whether they aid or hinder intellectual inquiry. Deeply rooted in social justice movements of the past, these spaces promise a reprieve from bigotry and oppression by allowing today’s students – the most culturally and racially diverse in history – the opportunity to express themselves in an empathetic environment. But to their critics, safe spaces pose a dire threat to free speech and undermine the resilience of a generation. Are safe spaces dangerously coddling young minds? Or are they a legitimate and necessary component of modern education? Liberals Hold the Moral High Ground (December 7, 2017) Do conservative or liberal philosophies lead to more just outcomes? Opposing moral philosophies have long fueled debate about America’s policy goals and national identity. For conservatives, morality is grounded in ideals such as patriotism, including a respect for order and authority; fairness and liberty in the sense that an individual’s actions yield just rewards, or consequences; and reverence for the sanctity of religious and moral tradition. 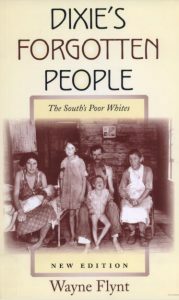 Liberals place moral emphasis on caring: for the poor, the disadvantaged, and the marginalized; on fairness in the sense of redressing both historic wrongs and current inequalities of outcome; and on generosity extending beyond the bounds of nations or cultures. In today’s divisive political arena, which side best embodies the nation’s most cherished virtues? Morally speaking, is the left right? 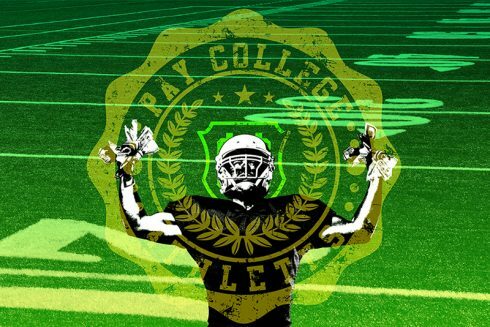 Pay College Athletes (October 24, 2017) College sports is a big-money business, with football and basketball programs generating millions of dollars in revenue every year. While coaches and athletic directors in Division I programs routinely score seven-figure contracts, student-athletes are currently prohibited from sharing in the profits. Is it time to rewrite the rules in college sports and allow athletes their fair share of the profits? Or would providing monetary incentives — above and beyond existing scholarships and career supports — spoil the sport? 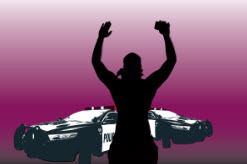 Policing Is Racially Biased (January 11, 2017) In 2014, the shooting of Michael Brown by police officer Darren Wilson in Ferguson, Missouri, set off a wave of protests and sparked a movement targeting racial disparities in criminal justice. Since then, there have been other controversial deaths of African Americans at the hands of law enforcement that have captured the public’s attention, from Tamir Rice, to Philando Castile. But there are some who say that these encounters, many of them recorded, have fed a narrative of biased policing that the data does not back up, vilifying people who are trying to do good in a difficult job that often puts them in harm’s way. What are the statistics, and how should we interpret them? How have recent incidents shaped our view of policing? Does crime drive law enforcement’s use of force, or is there racial bias? 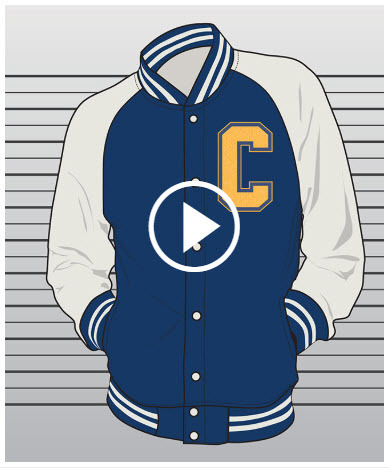 Courts, Not Campuses, Should Decide Sexual Assault Cases (September 16, 2015) High-profile cases have recently put campus sexual assault in the spotlight. One question that has repeatedly come up: why are these cases being handled by campuses at all? Title IX requires that every school receiving federal aid must take concrete steps to deal with hostile environments and sexual assault. This leaves colleges and universities with the task of figuring out what policies and procedures to enforce. Proponents say that campus investigations serve a real need, forcing schools to respond to violence and protecting the interests of victims in ways that the criminal justice system may fail. Can schools provide due process for defendants and adequate justice for victims, or do these cases belong in the courts? Liberals Are Stifling Intellectual Diversity On Campus (February 24, 2015) What is college for? For many, it’s a time for personal and intellectual growth, to meet new people, and to explore ideas and philosophies that challenge their beliefs. Or is it? Recent cancellations of conservative speakers, rescinded honorary degrees, and scrutiny of certain campus groups have heightened perceptions that there is pervasive liberal intolerance on campuses. Are liberals shutting down speech and debate on campus? Or is this theory a myth, based on the preponderance of liberals at universities rather than intentionally discriminatory actions?